Assure that you get the perfect look so you look and feel stunning at your upcoming event. HQ Salon offers an array of first-class makeup and hair styling services for weddings and special events. Our experienced, highly talented artists and stylists provide the best in special occasion hair and makeup in and around Lakewood. Onsite Bridal Services: Our team can travel to your location/venue to provide makeup and styling services. Find out more about our onsite bridal services during a consultation. Test out any new hair styles or makeup looks in the weeks leading up to the event. During your “test” appointment, arrive with a clean, makeup-free face and prepare your hair how your stylist has requested (if they don’t specifically tell you how to prep your hair when you make the appointment, ask so you can get accurate results). If you choose to bring trusted friends or family to your “test” appointment, it can be best to keep your posse small so that you aren’t bombarded by opinions (and so you have the space to make the best choices for you). Bring any accessories that you will be wearing to the event to your “test” appointment. This can include hair accessories, earrings, face jewelry, necklaces, etc. Consider your outfit, both the style and color. The best options will usually be flattering hair styles that complement the cut of a dress and makeup that complements your skin tone, your features and the color of your dress. Know what you absolutely must have and what you absolutely do not want. Having some clear ideas about your dos and don’ts can be helpful in honing in on the perfect hair style and makeup for you. Bring pictures to your stylist and makeup artist so they can see what you like and what you want to go for. If you will be taking a lot of pictures, remember that bolder, more dramatic makeup tends to photograph best. Don’t be afraid to speak up about styles and looks you do not like. HQ Salon is a chic, full-service salon offering exceptional hair and makeup services for bridal parties and any special occasion. Our team of stylists and makeup artists are highly skilled at creating gorgeous looks that will hold up hour after hour so you look amazing throughout the entire event. Up to date with the latest styles, trends and innovations in hair and makeup, we are ready to offer you the best makeup and hair services for your upcoming event. 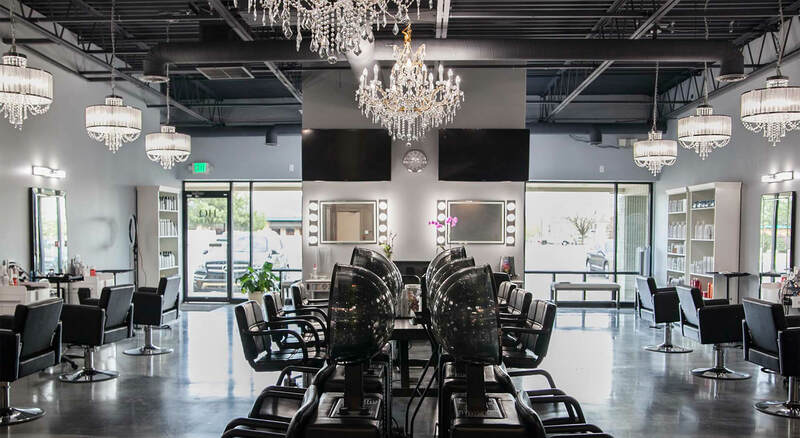 HQ Salon welcomes all types of clients – women, men and children – who are preparing for all types of special occasions, from proms and weddings to graduations, bar/bat mitzvahs, awards ceremonies and more. We look forward to serving and styling you!